Nursing Diploma / Graduation with Kerala Nursing Council Registration. Minimum 1 Year Clinical Experience (General OT) in Reputed Hospitals preferably with NABH. Valid AHA approved BLS & ACLS Certification . Not more than 1 Year Break after Last Service. 50 % Mark in Written Examination for Selection. Good Performance in Oral and Practical Sessions. Selection / Appointment is subject to Medical Fitness. Full Time Attendance in Induction and Orientation Programme. Assurance of Long Term Service with out any Break. 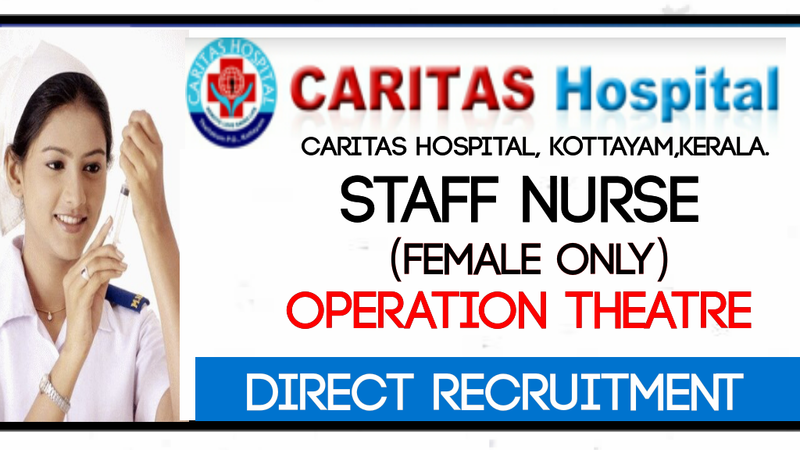 Acceptance of Caritas Hospital Service Conditions & Rules and Regulations.